The Law Offices of Alejandro Mora, PLLC, in Austin, offers a wide range of legal services to health care providers throughout Texas. The law firm is highly focused on transactional, administrative and regulatory legal matters within the health care industry. Often, Mr. Mora receives referrals from business lawyers whose clients have a health care-related legal issue. Common areas in which he provides legal guidance include health care startups, licensing issues, buying or selling a health care company, health care real estate transactions, and representation before health care regulatory agencies. The law firm's typical clients include physician practices, managed care organizations, ambulatory surgery centers, nonprofit health care organizations, home health agencies, nursing homes, rehabilitation facilities, hospice facilities, nurses, pharmacists, speech therapists, physical therapists, occupational therapists, medical equipment providers and suppliers, dentists, orthodontists, medical transport companies, and other health care businesses. 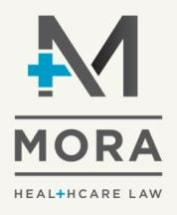 Mr. Mora offers general counsel services for health care providers on a fixed-fee, monthly retainer. In such a highly regulated industry, he understands that health care providers need ongoing legal counsel at a reasonable rate. Clients of The Law Offices of Alejandro Mora receive personal attention and efficient legal services, regardless of the legal matters that may arise. In addition to personalized, prompt service, Alejandro Mora offers flexible appointments, including evening and weekend availability, and he often travels to meet with health care providers at convenient locations outside of his law firm.